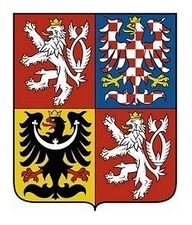 International Draughts Federation IDF – FMJD Section-64 in accordance with the calendar of the competitions in 2014 holds from July 9, (arrival day) till July 17, 2014 2nd Stage of World Cup 2014 – International draughts-64 competition “Pardubice-2014”. 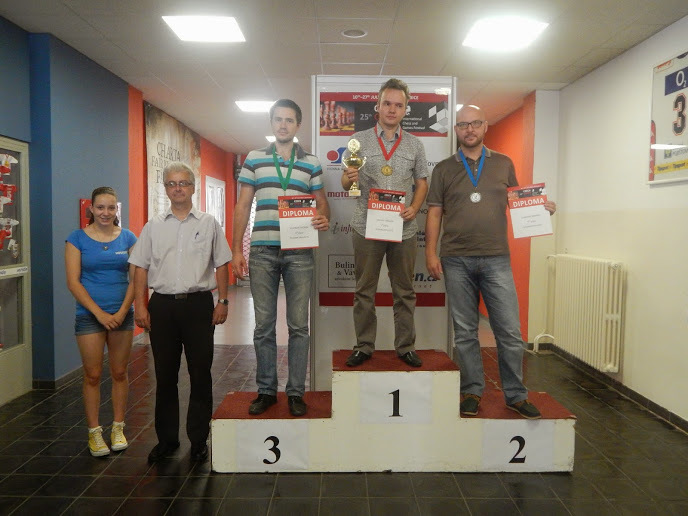 Competitions are held in the framework of the 25th anniversary of the international festival of games in Pardubice. See final standings. Tournament in Russian Draughts ended. Dmitry Tsinman won. Vladimir Skrabov took 2nd place and Vladimir Egorov took 3rd place. 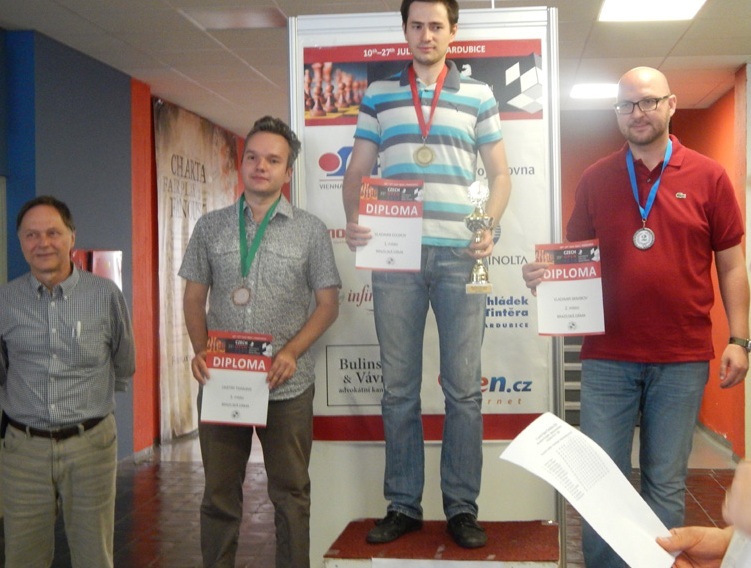 Tournament in Czech Draughts was held today. Andrey Gnelitskiy won. 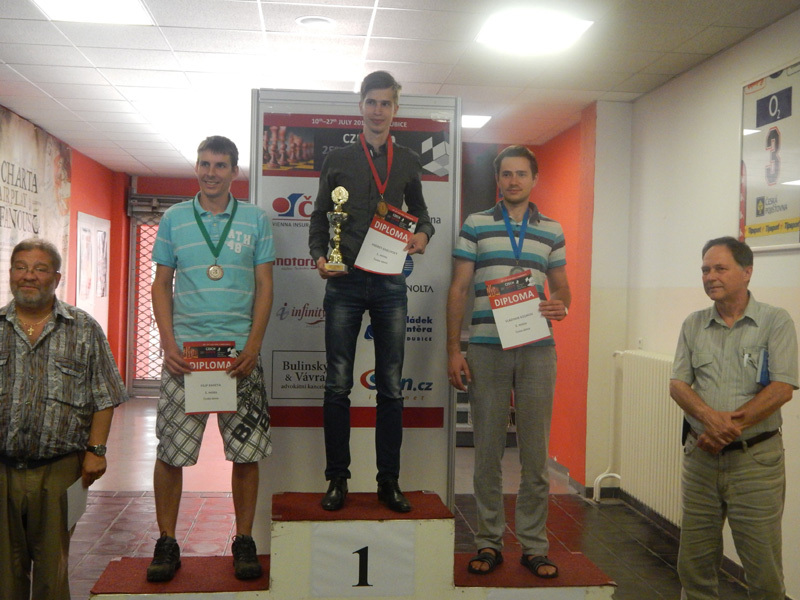 Vladimir Egorov took 2nd place and Filip Kareta took 3rd place. Tournament in Brazilian Draughts ended today. Vladimir Egorov won. Vladimir Skrabov took 2nd place and Dmitry Tsinman took 3rd place. Competitions are held from July 9, (arrival day) till July 17, 2014 (departure day). Competitions for Russian and Brazilian draughts will be held by the system of micro-matches consist of two games with the drawing according to the official table of the Section-64. – 30 euro for Russian draughts. The costs of accommodation, meals and travel of participants paid by their sending organizations. Accommodation is 9 euros and more. Applications for participation in competition must be submitted to the office of IDF – FMJD Section-64 on e-mail [email protected] and organizers on e-mail: [email protected] not later than June 13, 2014.